North Lake Senior Campus Thursdays 6.45 pm. Please ring or email us for more information. We have ITF Taekwon-Do approved international instructors which means your certificates and rank will be recognized the world over. Our instructors are highly experienced and have trained all over the world. So rest assured you are in safe hands ! Students are taught a syllabus in line with the ITF globally. 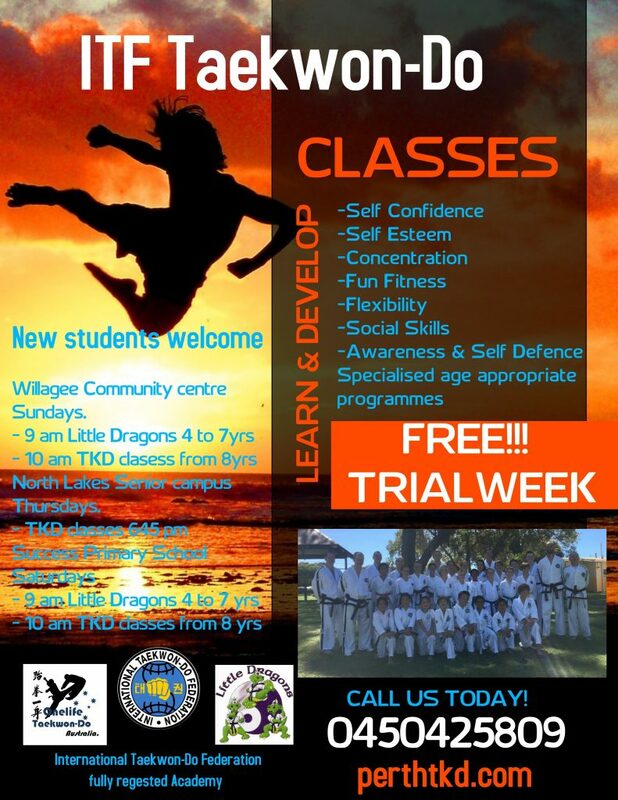 Classes are set up in age suitable groups for all from 7 years onward. Students begin by learning fundamental stances, patterns, sparring, theory and self-defense to name a few of the core topics. 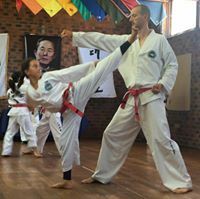 We see huge changes in the students as they embark on their journey into martial arts and learn Taekwon-Do in-depth. Students work their way through a rank belt system from white belt through to Black belt degree grades confident in the knowledge that the certification they receive is internationally recognized by the world governing body. In a proven traditional martial arts system. The fun and energy is immense so students still get to experience a terrific class with a focus on learning true ITF Taekwon-Do.